Jim, if I can help conjure up old memories, then I e written something good. With those phones, you might think about opening a tour day for young folks who have no idea what the old phones were like 😂. Thanks for your comment, Jim. Glad you liked it. Hi Steve. Moving story. Awakes a lot of souvenirs like it was yesterday. With me calls never stopped. By the way I would like to hear you again… Can we make an appointment. Not in the morning French time because of the “tablets” I have to take. I will be next week in hospital 🏥 for my day-long injections of anesthetics.. So the week is not appropriate. Let’s call again +33950364738.i do not pay the phone calls, should it be expensive for you I would call. That’s funny but true. Can you decline a FaceTime without looking snobbish (what, don’t care about us?)😂. It won’t be long before we can dial just by thinking about the person. Isn’t technology wonderful 🙀? Thanks for commenting. Well, Derrick, you were one of those ‘deprived’ kids, I guess. But with all the telephones in circulation now and how everyone’s busy with their them, maybe it’s not such a bad idea to slow down and go back to that time. 😉 Thanks for commenting, Derrick. Actually, I use the “Classic” ring tone on my phone, just to remind me of the good ole days of rotatory phones and their classic ring! Yes, I’m still trying to figure out Instagram! 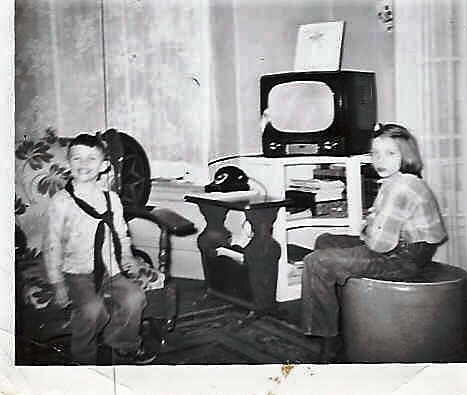 We also had a round dial telephone when I was a kid, Steve. South AFrica was always behind the states. We never had a push button phone, moving straight to cell phones in 2007. Your number was really cute. They had to add words because of the growing numbers. Then, you just used the first two letters. Thanks, Robbie. Great post and memories. It was always a surprise to answer the phone in the old days. You never knew who was on the other end so you couldn’t avoid anyone you didn’t want to talk to. Now they have caller ID. I still have a landline but have a hard time remembering the number. I keep it if I need 911 so they can find me faster. Only sales calls on that phone. Sigh. I’d like to disable the land line but everyone (doctors, friends, etc) have that number. But we did save when we went to OOMA, an Internet service. Thanks for commenting. Yes, it is always nice to make those calls. And we know, just by the sound of the voice, how things are. I have our old rotary dial phone. When the grandchildren were visiting last summer, I hooked it up. Of course it worked. And how hard it was to dial all those numbers! We had the best time. Thank you for your wonderful and moving story, Steve! I miss phone calls. Peeps I know seem to want to text, email. I miss winding the cord around your finger while you kicked back in the sofa or chair with your leg swinging over the arm and chatted with the boyfriend/girlfriend. Yeah, I miss that. Wonderful sharing, thank you. I ‘met’ you (just now) via Jennie’s blog, A Teacher’s Reflections. I am injoying your blog greatly. I looked for the QVC post, but find on search option on your site. I’ll keep looking. I am sure your blog brings joy to many, as it does for me. Thank you for sharing with all. Thank you. I should upgrade my WP to improve its look and other features that make it easier to navigate. I’ll find the post and repost it. Thanks for your kind words. Thank you for taking the time to do that. And you are very welcome! No hurry! You can also just leave the link in a reply here, if it’s easier for you. I don’t quite remember the days of 5 digit numbers, but I hold fond memories of the days when there was 1 phone in the home, in the sitting room and it largely remained un-noticed until it rang. Ah, I miss those days!